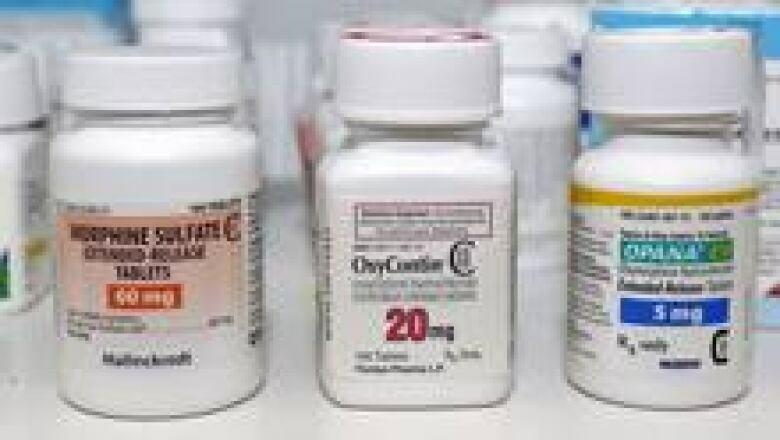 Medical school lectures and course materials should be free of pharmaceutical industry influence, says a Canadian doctor who looked into how potentially dangerous information about pain management was provided to undergraduate medical students. An industry-sponsored lecture series for medical, dentistry, pharmacy and other health-care students offered a reference book on pain management free to those in attendance. The main topic was using opioids for chronic, non-cancer pain — pain that lasts more than six months and comes from a non-cancer source such as osteoarthritis or chronic low back pain. In Tuesday's issue of the Journal of Medical Ethics, Dr. Nav Persaud, a staff physician at St. Michael's Hospital in Toronto, outlines inaccurate and potentially dangerous information about prescription opioid medications in the lectures series and textbook. "When a problem is identified with lectures, I think that medical schools have a responsibility to inform previous students," Persaud said in an interview. Persaud attended the lecture in question at the University of Toronto. In 2010, a complaint was made about how the presentation was given by a guest lecturer with financial ties to the drug company and questions were raised about how the book was funded and copyrighted by a pharmaceutical company. Following the complaint, the University of Toronto revised its pain curriculum, and the program is now funded from faculty budgets rather than unrestricted educational grants from drug companies. The speaker's conflict of interest was not disclosed to students back when it was an issue starting in 2002. Persaud notes existing conflict of interest policies would allow similar lectures to take place at most medical schools in Canada and the U.S.
His paper, titled "Questionable content of an industry-sponsored medical school lecture series: a case study," says better strategies are needed to prevent, identify and deal with problematic interactions between the pharmaceutical industry and undergraduate medical education. "The course material contained information that aligned with the interests of these companies by minimizing opioid-related harms relative to those of other analgesics, overstating the evidence for their effectiveness, in at least instance, provided a potentially dangerous characterization of the potency of a commonly used opioid," Persaud wrote. "The information provided in these lectures may have affected patient care, although this has not been demonstrated and all attendees should have received further education and pain management before beginning independent practice." Persaud hopes to raise awareness of the case to reduce the chances of a recurrence. He adds that case itself might have been prevented if the organizers knew of similar problems elsewhere. In 2007, three executives at the U.S. manufacturer of OxyContin, a long-acting oxycodone, pleaded guilty to fraud. As part of the agreed statement of facts in the guilty plea, company employees didn't correct the misperception that oxycodone was less potent than morphine. Oxycodone is in fact at least 1.5 times more potent than morphine. The marketing occurred at the same time as opioid prescriptions and opioid-related deaths spiked.